This is extracted from the internet portal in which Khairy jamaluddin Minister of Youth and Sports has this to say,’ I agree … If he wants to make baseless accusations and use inappropriate channels (to do so), then do it. 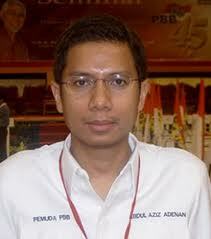 But he does not need to be in the government,” the youth and sports minister said in a Sinar Harian report today. it seems that P Waythamoorthy, a deputy minister in the Prime Minister’s Department is getting a “left,right and an uppercut” from 3 UMNO Ministers in PM Najibs cabinet. Obviously, many will say that PM Najib is “losing it and it does not bode well” for his administration as the Seniors are taking out on the juniors in his cabinet. the sooner it STOPS the better it is but unfortunately with UMNO elections drawing near it will not cool down just yet says a veteran UMNO member. WILL THEY BE MORE “ENDLESS POSSIBILITIES“FOR OTHERS TO JOIN IN BEFORE PM NAJIB BREAKS HIS SILENCE ..? KJ seems to have ruffled a few feathers with his statement just immediatedly after the BN coalition has received a fresh mandate in his tweet. It was enough to draw a direct reaction from Aziz Adenan PBB Youth Information Chief on how KJ should justs “handcuffed his fingers” as he is an MP and UMNO youth Chief”. He should have left his BB in his pocket. The result,”He has not taken into account the sensitiveness of stepping on SUPP’s shoes and maybe facing the wrath of the party as a whole. Tweet you are only afforded 140 words but this is the actual perception of what we intended to deliver across..
“What we meant is that if both of you KJ and Gan sincerely meant well stay in Sarawak for 3 months or more temporarily and see how you can assist SUPP in their hour of need or whether SUPP needs your help. A big question mark (?) here. Don’t jump on the bandwagon and harp on the single subject of “Taib is the cause of the loss of Chinese seats.” Well what happens if MCA losses badly again and UMNO wins more you call for Najib to step aside too? The main problem is within the party itself and all arrows should be directed towards the party SUPP.Why Taib..?? The Chinese electorate has a way of passing the message across to their leaders and they must realise that all is not rosy and well. Now the political game gets murkier and there are rumblings on the ground that some BN YBs are working out a coup to detrone CM Taib as played out by a blogger rajahmas in his blog and also another alternative which some billionaires are working on are the 36 v 35 equation which http://whizzekid.wordpress.com had written. THE MESSAGE IS CLEAR KJ WE HAVE OUR SOURCES WHICH SAID YOU ARE AVOIDING THIS SUBJECT. Lets think rationally and dissect the statement which was tweeted just immediatedly after knowing the result. Khairy is very quick and he moves too swiftly at times for his own good. His followers have trouble catching up with him but there are some who knows how to read between the lines. They are with him as UMNO Youth Chief but waiting for him to make the wrong move to slaughter him and in the process stopping him from climbing further up the UMNO ladder. Aziz Adenan is not too dissimilar and he knows a thing or two more than those who are around him. He helps those who are not good at this subject and learns quickly to cop up with his own weaknesses.He was brought up by learning and looking at how his parents work their magic in the press/media and political circles. Aziz is more media savvy with the press unlike Khairy who must realise that the bottomless pit is staring at him if he continues making unnecessary statements in his tweets. We dont know Khairy too well but know enough to paint a picture of him. Those who are closely associated with him knows that he is a man in a hurry and he will stop at nothing to overcome those who put a barrier infrontof him. 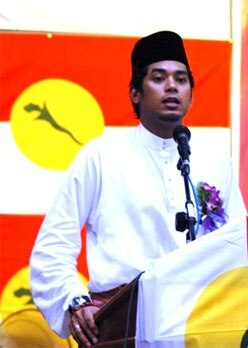 It is not wrong for Aziz to issue this statement to the press,”We are disappointed and hurt by the comment of Khairy Jamaluddin in Tweeter about Barisan National election performance in Sarawak Election 2011” Aziz is doing what any good politician knows what is bests for his country. Khairy you need to ask WHY YOU SAID THAT…. We at audie61 squad are always available and we know justs a little thing or two more when you approach the local territories ,terrain and not forgetting local customs plus traditions . A KL advertisng firm in Kuching for a candidate found it a little too late when they took no notice of us. Its the candidates loss and he cant explain it to his bosses. On another note we remember one particular blogger who even said,”I was the person who brought KJ down” Did he tell you in the face KJ..?? Big No and please dont get offended. 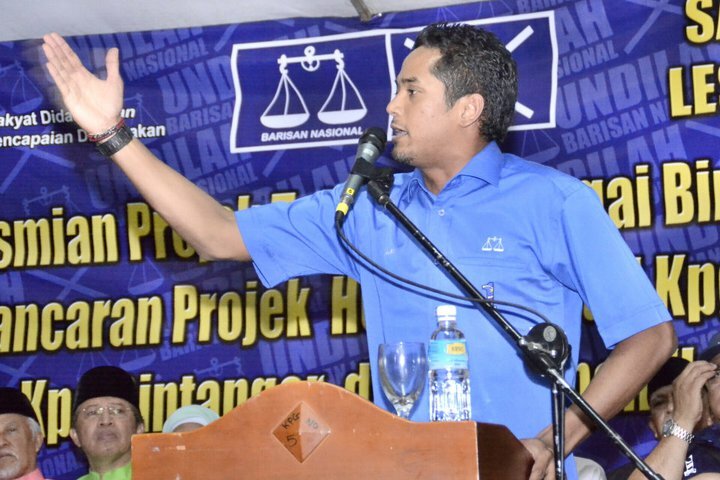 Khairy as UMNO Youth Chief you need to put the wrong perceptions about you right and learn from one master in the person of CM Taib,”Swallow your pride and you will be a better person in time to come.” It is proven right in Sarawak and 35 PBB seats intact in the 2011 elections is no mean feat. 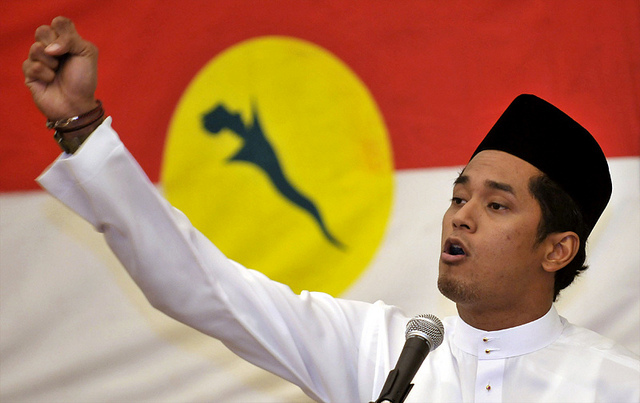 Khairy or KJ your call now….. In politics when one sits at the helm there will come a time when decisions made are for the bests of interests for the whole TEAM. Najib is clearly in that mold when he masterly used the art of “DIVIDE AND RULE CONCEPT” for the PPP crisis. He was officating at the 56th PPP annual general assemblyand the phrase he used sounds too familiar. CM Taib and Najib are all using the word PREROGATIVE which no one would surely question. This is the extract from Malaysiakini portal,”In an apparent move to appear neutral in the PPP dispute, Najib said the appointment of deputy ministers are his sole prerogative and that Murugiah was someone supportive of BN. “He is not somebody who is against BN. He is very supportive of BN, its policies and leadership,” he said. The question on most Sarawak political analysts lips is that now,” Will Larry Sng (Assistant Minister In CM Taibs cabinet be saved by the PM’s very words of Prerogative. ?” This remains to be answered as speculations are that of an imminent Sarawak cabinet reshuffle. Seems Larry is very much a BN Man. Dont you agree..?? We will not know just yet what is in the mind of CM Taib and Larry will be hoping that he is still maintained. PRS and James Masing will surely look at this development very closely. 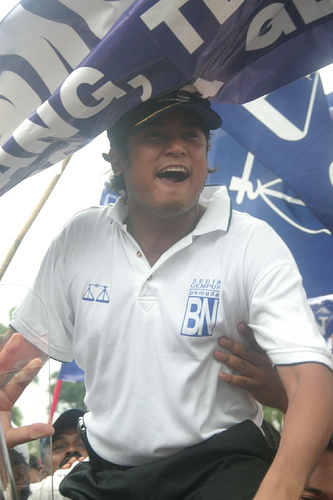 On October 18th 2008 I wrote “Khairy’s days are numbered”. Today against all odds when many within UMNO “Khairy,Oooh No way and also NOooo chance.. ” he proved them all wrong. First of all we congratulate those who always proves otherwise. This we wrote thenon 18/10/08,”A veteran politician said to me over coffee at the MCA assembly,” He is being pushed to the wall and he will come out fighting.Believe me.” I smiled and said to myself and Khairy himself an Oxford graduate will have learnt the ‘British Bulldog spirit” and learnt from Sir Winston Churchill,”Victory at all costs,victory however long and hard the road maybe,for without victory there is no survival.” So do you think Khairy’s days are NUMBERED..? Seems that he knows that Khairy is losing his invincibility as the two main reasons are Firstly,Khairy seems to be under attack from Tun Mahathir who seems to love to attack Khairy and his fourth floor boys.Secondly,even the UMNO youth divisions have summoned their courage and endorsed quickly Muhkriz Mahathir with 44 votes to Khairy’s 23 nominations presently. Ting took Khairy, who is also the son-in-law of Prime Minister Abdullah Ahmad Badawi, to task over his remarks concerning the ratio of the bumiputera and non-bumiputera quota on scholarships. He said such remarks were not only condoned by the Umno leadership but also paved the way for Ahmad to make similar offensive remarks. The pressure that is put on Khairys shoulders is immense and it will be a GREAT ACHIEVEMENT for him to overcome it. The view from many political pundits is that Khairy needs to show ,”What is his own LEADERSHIP QUALITIES. ?” He needs to fight all the barrage of criticisms,all accusations which are being hurled,his overzealous ways in the Badawi administration and above all the Mahathir factor. A veteran politician said to me over coffee at the MCA assembly,” He is being pushed to the wall and he will come out fighting.Believe me.” I smiled and said to myself and Khairy himself an Oxford graduate will have learnt the ‘British Bulldog spirit” and learnt from Sir Winston Churchill,”Victory at all costs,victory however long and hard the road maybe,for without victory there is no survival.” So do you think Khairy’s days are NUMBERED..? Speaking to Malaysiakini tv/video Mukhriz Mahathir seems to have sung the right tune and hit the right notes as he was given an assailable lead after the 1st round of nominations. His closest Khairy Jamaluddin will need to secure at least 19 more to be eligible to contest for the posts as UMNO youth Chief in March. The Malaysiakini report which can be read http://www.malaysiakini.com/news/91378 Tense weekend ahead for Khairy which he needs to find a cure plus an antidote for his abysmmal showing so far. Mukhriz looks very laidback as compared to his father Tun Mahathir and he did mention to reporters that basically he has two differences with his father. Firstly, Tun Has resigned from UMNO but he is still inside while the other he supports Najib as future PM and Tuns choice is Tengku Razaleigh. Good positioning and correct call and this political alignment with the powers to be makes him acceptable to the divisional youths. As for his contributions to the Youth Wing he needs to restore the confidence of young people in UMNO and BN in general and there are lot of people who believes in his way forward. We know that the among some reasons why UMNO and BN did badly in the last GE are the weaknesses within the coalition and there are steps to rectify all these weaknesses. It augurs well for the man who aspires to lead the UMNO Youth Wing and if he succeeds he has already spelt it out. Open Membership as wide as possible. Unfortunately although its quite simple to be a member there seem to be “RED TAPE” At this particular moment it s easy for a malay to join any party he likes. Of course,any opposition parties are wooing them over and there needs and he sees a need to REVAMP the membership drive in order to gain more members. After having them in as members there needs to given enough and adequate knowledge about UMNO’s history,the partys struggle so far and the independance struggle at this particular moment and where we are going from hereon. We must ensure that the members are not joining for the sake of just being members without having ‘EMPATHY and FEELING” for the struggle itself. He feels that UMNO as a political party needs to solve peoples problems. WHY BE A POLITICAL PARTY IF YOU ARE NOT DOING THAT..?? Young people particularly has tons of problems. We have to be seen to connect with them by way of coming up with adequate SOLUTIONS. Khairy has offered himself as he says on his own strengths and the PMs decision does and will have little effect on UMNOs youth members decisions to choose their leaders for the next term. He said that in any contests he is mindful and any factors influencing their votes but he hopes that they will be able to assess his record in its own right without attaching any sentiments. So the politics of DEMONISATION is alive and kicking in Malaysia and we look forward to the healthy UMNO Youth battles between the aspiring candidates. Mukhriz and Kahiry needs to overcome all the obstacles and mud slinging which will surface in the following months. UMNO and BN stands to benefit if the right leader is chosen and Pakatan will be watching this developments with interests….Over to you youth boys.. Unfortunately,It’s not my CALL….